The Yard Theatre hosted an indy festival, Brexit Stage Left, this month – but what are our big theatres doing? As David Dimbleby called the result of the EU referendum, I was watching from a Travelodge toilet in Birmingham. How fitting. A budget hotel’s bog seems like the ideal seat to witness the start of a shitshow. In Birmingham, the Brexit vote felt especially raw. Not only was the city split by the slightest margin – 50.4% voted Leave – it was also the week of the BE Festival, which pulls emerging artists in from all over Europe. It’s run by two Spanish expats and centres around big, communal meals. It is, in other words, the antithesis of Brexit: an embodiment of European cultural exchange. That morning, the mood tanked. Brexit came up like a bruise. The whole festival felt it. In the two-and-a-half years since, British theatre dropped the ball on Brexit. It has pretty much abdicated all responsibility. Save for the National Theatre’s speedy response – the nationwide ‘listening project’ that led to its well-meaning, but misjudged verbatim project My Country: A Work in Progress – there’s been next to no attempt to address the issue directly. Or did I miss something? True, Brexit feels like it’s seeped into almost every other show. We’ve seen no end of state-of-the-nation plays laced with division and decay, the best of which – Mike Bartlett’s Albion or Simon Longman’s Gundog – caught the moment. Revivals from Shakespeare to Schiller have reflected our rudderless times, whether history hanging on a coin toss in Robert Icke’s Mary Stuart or the factional in-fighting of the Almeida’s Richard II. The stage hasn’t shied away from suggesting this country finds itself in a right state. Even so, nothing has really met the matter head on – be that to combat Brexit, to challenge it, champion it, even just to contextualise it. London’s Royal Court hung a ‘Second Referendum’ banner from its balcony. The Young Vic flew the EU flag out front. As for on stage, not a lot – barring the Court’s grand farewell bash planned for March 29. Theatre prides itself on being reactive, but television drama had it beat with James Graham’s Brexit: the Uncivil War. There’s been no scrutiny of the historical background – no eye on the Eurozone debt crisis or the EU’s bungling over Ukraine; nothing on the right’s long-standing Euroscepticism. Nothing, either, that might have helped bridge a gap between this country and the continent. 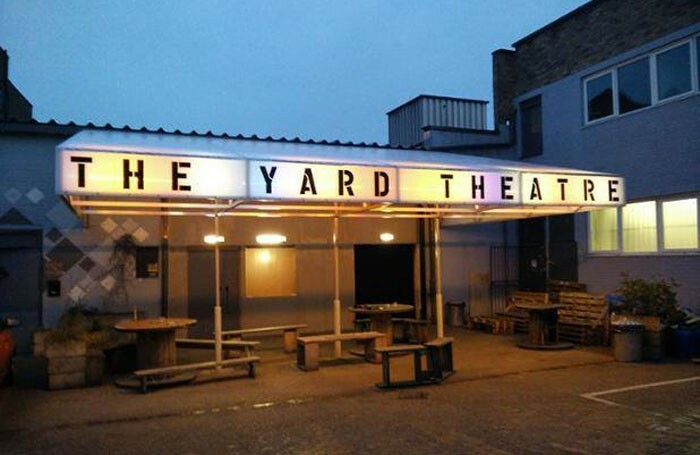 The Yard this month hosted an indy festival, Brexit Stage Left, presenting rehearsed readings of new European plays. Why haven’t our big theatres sought to do the same? I get it. Theatre, like parliament, finds itself in a fix. Being publicly funded, it has to – at some level – respect the referendum result. Fight on for Remain and it looks too liberal elite. Anything else and it belies its beliefs. It’s a right bind – but by more or less ignoring the issue, British theatre has put on its blinkers and buried its head in the sand. In doing nothing, it has betrayed the spirit of the BE Festival.